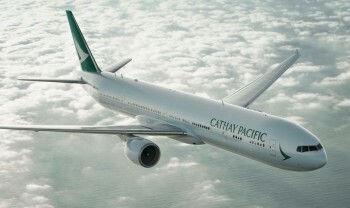 Today I want to take a look at how you can make substantial tax savings – and potentially Avios savings – when flying to Hong Kong on Cathay Pacific. 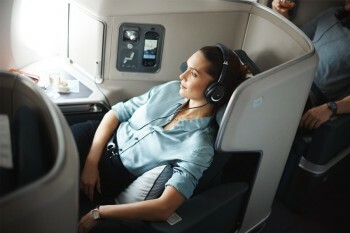 You can’t use a British Airways American Express 2-4-1 voucher on Cathay Pacific so this strategy is better for the solo traveller or someone who has already used their annual voucher. Cathay Pacific is a fellow member of the oneworld alliance, alongside BA, so you can redeem your Avios for their flights. Availability is generally good outside London (you can often see six Business seats on Amsterdam and Manchester dates out of season) but note that only some routes have First Class. When booking redemptions to Hong Kong on BA there is one fact to remember. Historically, by law, there were NO surcharges on flights originating in Hong Kong. This does not apply to return legs of flights starting outside Hong Kong. This regulation was reportedly dropped in late 2018 but, so far, most airlines have not changed their pricing. What this means is that you MUST book Hong Kong BA redemptions as 2 x one-way flights if you want to save money. If you do this, there will be no surcharge on the inbound flight. If you book it as a return flight you will pay a surcharge on the inbound flight. The snag, of course, is that by booking 2 x one-ways you cannot use your British Airways American Express 2-4-1 voucher …. These numbers are based on peak day redemptions. This is £64 cheaper than redeeming on British Airways, based on a peak day redemption, and for a superior business class product. You need to book the Cathay flight as 2 x one-ways to get this pricing. Ex-Europe is even more interesting! Cathay also flies to Hong Kong from various other European starting points. Dublin is the newest route but there are plenty of other options. Cathay Pacific also flies directly from Manchester which, whilst not offering a huge saving on taxes, will be more convenient than Heathrow or Gatwick for many readers. The tax numbers are very good, as low as £160 return. There is no saving if you book Cathay Pacific tickets as 2 x one-ways or as a return. If there is a risk of cancelling, booking a return will save you money on cancellation charges as there will only be one £35 fee to pay. As you can see, there are some big savings to be made here compared to the British Airways surcharges of £417. You need to factor in the cost of getting to and from your departure airport, of course. There is one thing which may make you think twice about Cathay Pacific. If you book on a peak day there is no difference in the Avios required whether you fly BA or Cathay – it is 180,000 Avios return, apart from Madrid which is more. Fly on a British Airways off-peak day and the Avios required fall to 150,000 per person, return, in Business Class. This offsets the saving in taxes and charges. There are other factors to consider as well. You will obviously need to get to your starting point which will incur additional costs. Depending on the flight times, you may also need an overnight stay. The Dublin flight currently departs at 11am, changing to 11.55am in the Summer, which is pushing it if you want to connect from the UK on the same day whilst building in a big enough buffer in case your first flight is delayed. Cathay Pacific, of course, still has arguably a far superior product as a look at online reviews will show, but if you looking to travel at off-peak periods the discussion is more about quality than overall savings. I think it’s worth adding that an off-peak Virgin Atlantic Upper Class one-way from LHR-HKG is £383 plus 57,500 miles. For me this is a better deal than trekking to Amsterdam or Dublin etc. If flying HKG-LHR-HKG are the fees really low too? If booking as 2 X one ways it is exactly the same, clearly. I have done a dummy booking. Return starting in HKG is coming out much cheaper at £253. I always do this for llyods upgrade voucher and get substantially lower taxes than starting out in LON. Is the Lloyd’s upgrade voucher can be used on Cathay? Or how do u get substantial lower taxes? BA only but doesn’t have to be used ex-UK. As I understood it the rules for zero fuel charges were on any ticket (even return) that originated in HKG. That’s how they were priced. Note Alex W comment above. B) If I do said 241 open jaw, can I mix classes? Out in Club (which I’ve just reserved @ 355 days) and tag on the return later (by phone?) in, say, Premium? B) yes you can mix classes. In May we are flying to Vancouver in F and back from Calgary in CW (no F on 788). If you’re coming back from HKG, book as two one ways at the respective t-355s using 241 and then reprice over the phone (you’ll save, put it that way). I am thinking of booking to Tokyo on a BA 241 in F. The dates I would like are available so could book the return flight in one go. Is there any advantage to booking to outbound and then phoning to add the return in my case? Isn’t this going to impact bookings of US domestic flights on AA with Avios? Nope, when you book AA flights with Avios it is based on the Avios partner award pricing, with the modification that Zone 1 (<650 miles) and Zone 2 are priced at Zone 2 levels. There are numerous anomalies – e.g. around pricing of First on 2 vs 3 class flights – and only sAAver availability for AA Miles maps to Avios availability. If AA Miles go revenue-based then so be it – you'd need Avios to go revenue based as well to make any difference. It was a matter of time after both Delta and recently United went that way. Didn’t think it would happen so quickly! Now CX opens a lot of availability to Asia Miles (at least on regional flights), and reduced availability to Oneworld partners. I’ve been using this to get to Oz for a few years. From memory it brings the taxes to circa £400 once you include a return out of HKG to your Australian city of choice (nestled inside the 2 one ways to/from HKG. Worth noting that if you want first you need to fly out of LHR (availability out of Madrid, Zurich and Frankfurt is far harder to find and Dublin doesn’t have First). You’re right. I haven’t priced this up since before November last year when carrier imposed charges were permitted. Hong Kong to Oz is now showing an additional £114 of BA charges bringing the total in fees up to around £550. I also think it’s worth mentioning that booking with Asia Miles it’s only 70k points vs 75k avios. I converted AMEX points to Asia Miles and booked a flight with British Airways from HK to London this way and only had to pay £35 in taxes. BA metal HKG to LHR one-way is about 35GBP in taxes. Makes sense to go out of London on Cathay (facilities, service, etc) and return from HKG on BA. Return Avios booking only good if you don’t plan changes for inbound — it cannot be refunded after you fly the outbound. Just proves BA’s fees are a complete con. Of course they are. How come AA charges nothing on AA transatlantic but BA adds a few hundred to the same AA flight? Rob, remember there is strong tradition and promise in the US market for very low/notional charges on award tickets. Rising it 20USD creates a swathes of feedback from ordinary customers, let alone frequent flyers. Partly, US airlines recoup expenses from high booking/cancellation fees, >125USD per passenger. Consumer expectation of notional surcharge is so strong, that we see now Delta, United and AA ready to cannibalise some purposes of having FF loyalty program, but not introduce BA-style surcharges. There is a problem with airlines simply being greedy: they hike surcharges in bad times (high oil prices) but conveniently forget to reduce them when oil/fuel price comes down. Historically, of course we shifted from a long-term average of 25USD to >45USD per barrel, which suggests that nominal surcharge is an unsustainable proposition. But taking things to other extreme, and making FF programs profit centres that generate in 100 millions gives us a dire picture of availability and T-355 midnight hunting. – EK increased mileage requirement for AS as partner, more like demanded it from AS to make the First less accessible to credit card miles collectors. The new tradition emerges (United Polaris, Qatar) to grant lounge access only to J and F booking passengers, while status passengers can go whistle to an inferior Star Alliance/Oneworld lounge. How would i go about checking a flight from Hong Kong to Da Nang using avios? You can search for Cathay Pacific awards on the BA website. From experience this route is usually pretty good in terms of availability, operated by Cathay Dragon. Bookable on the BA website, low fees. Of course CX/KA availability is pretty lean recently, since their epic pricing fail last year! Danang won’t show up in the drop down list which appears when you start typing in the airport name on the BA website. But if you input the airport code (DAD) and hit search, it should show availability. ah, yes, this is what is needed! i would not recognise Da Nang. I’ve just booked the “iconic “ overnight Cathay flight from Vancouver to JFK in business from BA.com for 37500 Avios and £54.90. A day in the Big Apple then using some Star Alliance miles and about 40 Euros tax for JFK – GVA -LHR on Swiss. Civilised way of travelling, and a lot cheaper than the last time I blew Avios and about £600 tax for YVR – LHR direct on the BA 747. Nice redemptions – heard good things about that CX flight too! I did that back in 2013 when it was only 25,000 Avios one-way CX first. Was a fab flight and my first taste of premium flying on points. So, how do you book Cathay redemption flights using Avios? Is it in the BA Exec website or on the Cathay website – if the latter, then presumably you have to join their loyalty scheme? The reason I ask is that I can’t see any Cathay redemptions on the BA website – does this mean they aren’t available? I’m actually looking for flight from Tokyo to Hong Kong. Has to be booked on ba.com. Are you using the correct code for the Tokyo airport(s)? You have to use the “search and book” function to look for partner flights. I actually took this flight yesterday – booked last year and an absolute bargain at 40000 avios + £40 return in business. I’ve just had a little play with a few dates and while there is reasonable availability flying to Tokyo I did only find JAL flights flying to HK. I think it’s a case of putting in dates which work for you and keeping fingers crossed. A previous poster referred to an epic pricing fail last year on Cathay’s part which has changed their policy on partner redemption availability. I’m not sure what that was but there does seem to be a consensus here that CX reward flights are harder to come by at the moment. Good luck!